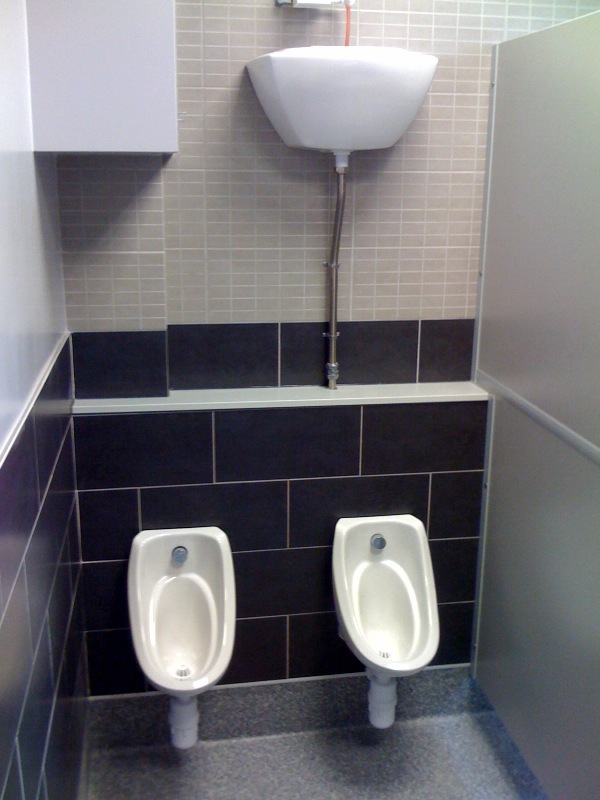 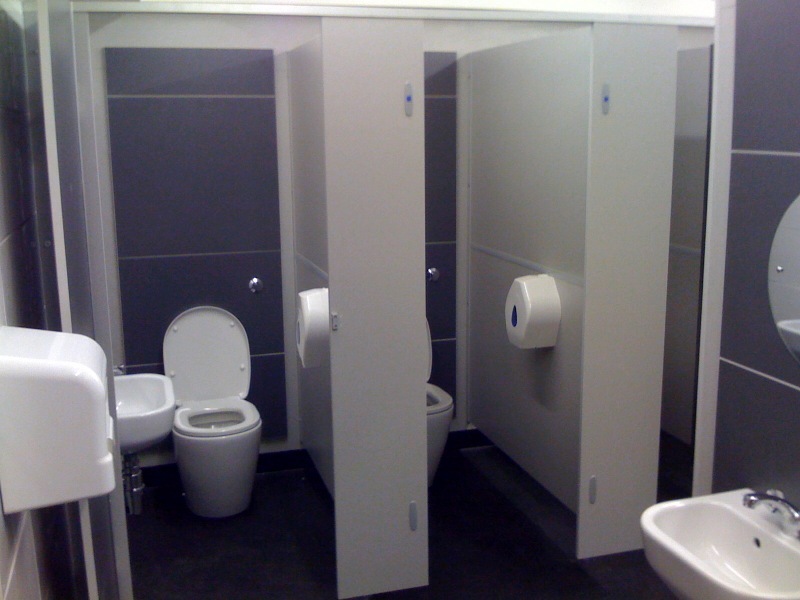 Commercial Washroom systems, because of their design and complexity, are expensive to have installed by large dedicated firms. 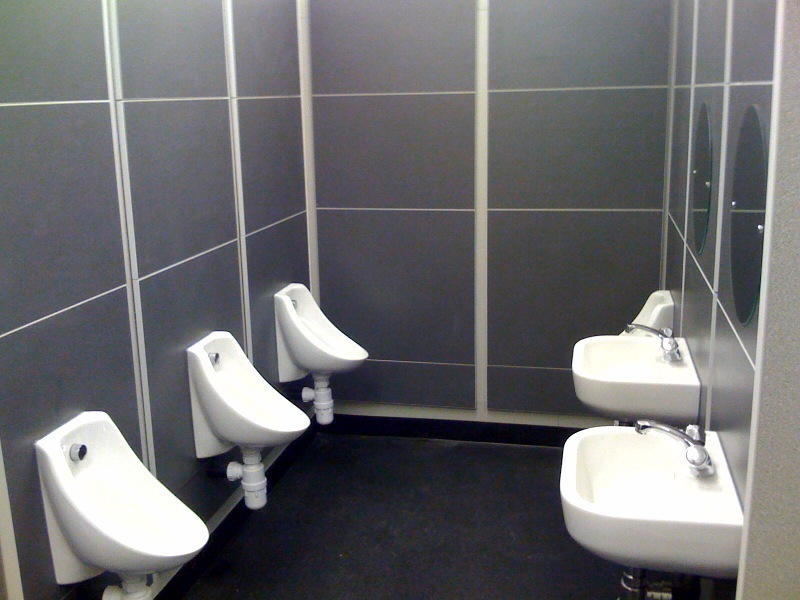 Working closely with various manufacturers, we have developed stylish low cost and affordable washroom systems to suit any budget. 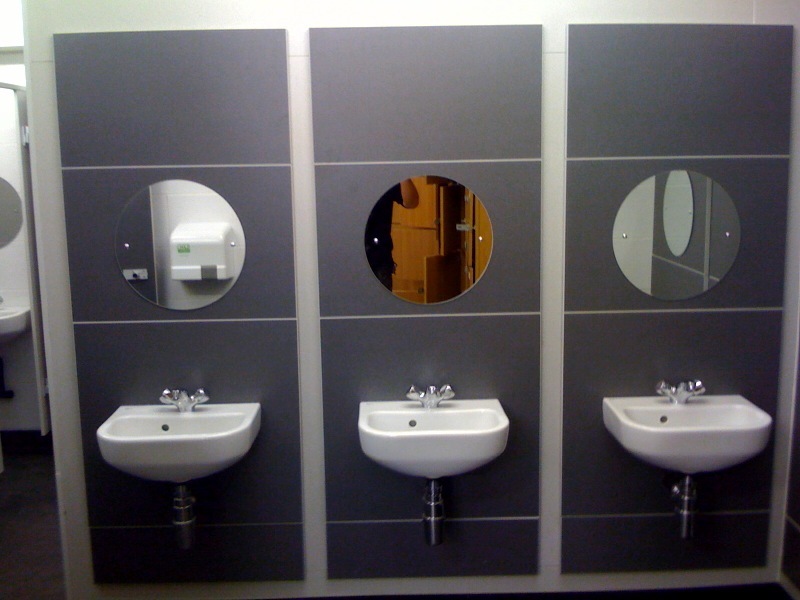 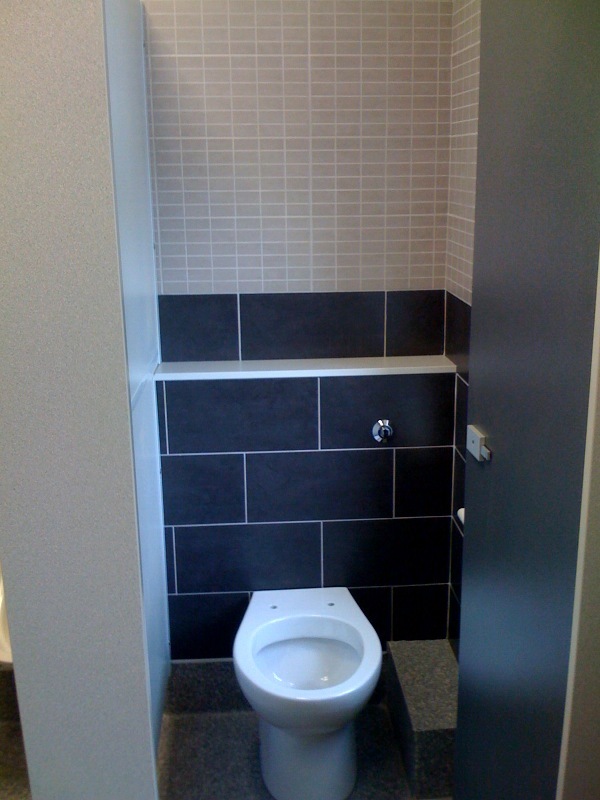 These three pictures are from a school where we created a new first floor washroom at the end of the existing hallway. 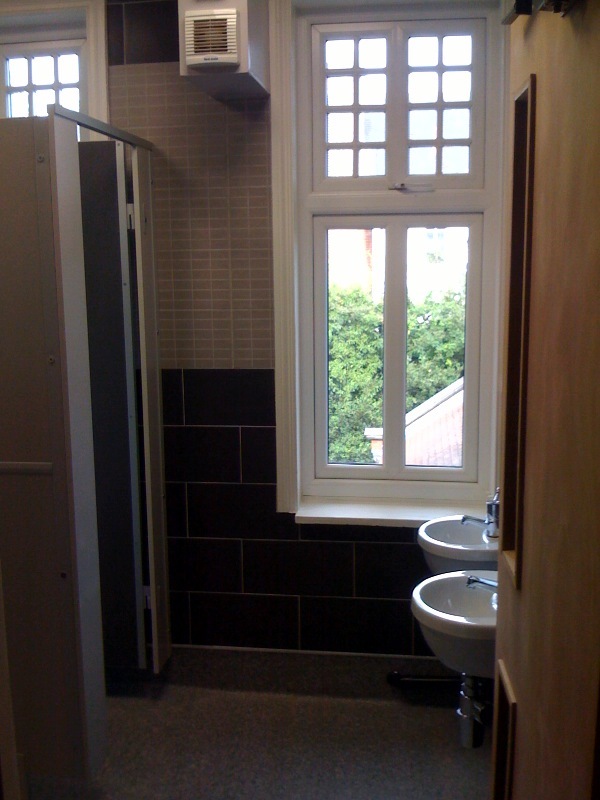 Stylish dark grey tiles laid in a brickwork pattern with contrasting light grey mosaic's complete the look. 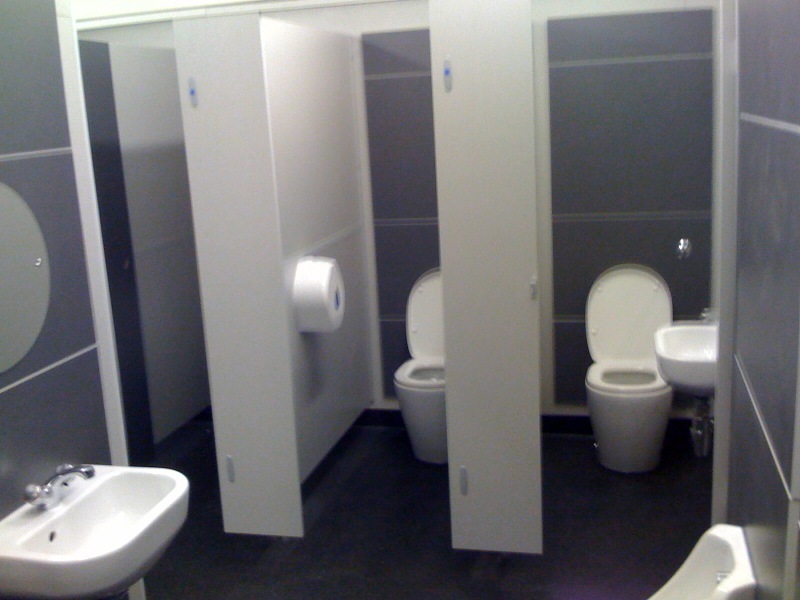 rest of the toilet areas.